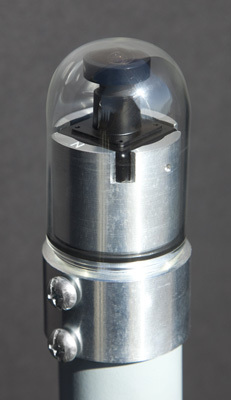 The All Sky Cam has been discontinued as of October 2015. Dealers may still have stock of cameras and accessories, so you may still be able to purchase cameras and accessories for a short time. This website will remain available as a reference to current owners. 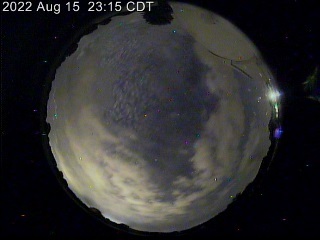 The Moonglow Technologies All Sky Cam gives you a live video view of the entire sky, day or night, rain or shine. Mount it up with a clear view of the sky, connect it up, then sit back and see the sky 24/7/365 from the comfort of your living room or anywhere else. With no confusing controls or requirements, the All Sky Cam is always on, always providing live full color video. See live cameras at AllSkyCam.com. This is just a small sampling of the cameras we have shipped worldwide, there are now All Sky Cams on all seven continents! Cameras are in use at professional observatories, by NASA, museums, astronomy clubs, and many amateur astronomers and weather watchers. Ready to go in minutes! With no software to install, and no controls of any kind, all you need to do is mount the camera outside and plug it into your television's video input. Astronomical: Sun, Moon, planets, stars, aurora, Milky Way & zodiacal light under dark skies. Meteorological: Cloud type and direction, precipitation, lightning, rainbows. Terrestrial: Nearby trees and buildings, horizon line. Professional observatories - spot clouds before they ruin observations. Amateur astronomers - decide whether tonight is worth going out for. Remote observatories - monitor the entire sky better than if you were there. Astronomy dark sky sites - know the conditions before driving a long distance. Airport FBOs and lounges - provide awareness to pilots and ground crew. Weathercasters - give your audience a unique perspective on the sky. Weather enthusiasts - see cloud and precipitation types instantly. Storm chasers - see above and behind your vehicle easier than ever before. Solar power installers - easy to understand obstacle survey imaging. Upload images to the Internet! With our optional All Sky Cam Uploader USB digitizer and software package, you can effortlessly upload your images to the internet. Purchase of the Uploader package includes 1 year of free image hosting on the AllSkyCam.com network.